The official Instagram account for HBO’s Watchmen has unveiled a new pair of teaser images for the upcoming series. You can check them out for yourself below. The shots are similar to the series’ first cryptic teaser, which was also released via Instagram last month. The previous image showed what appeared to be a lone policeman with a yellow scarf masking his face. This figure didn’t resemble any characters from Alan Moore and Dave Gibbons’ original graphic novel. As a result, fans postulated that the series would introduce at least one new masked hero. One of the latest offerings, however, shows more of these officers grouped together in a hallway, with a caption that reads, “Masks Save Lives.” The other post suggests that the members of this squadron are “hiding in plain sight,” which again prompts more questions than answers. 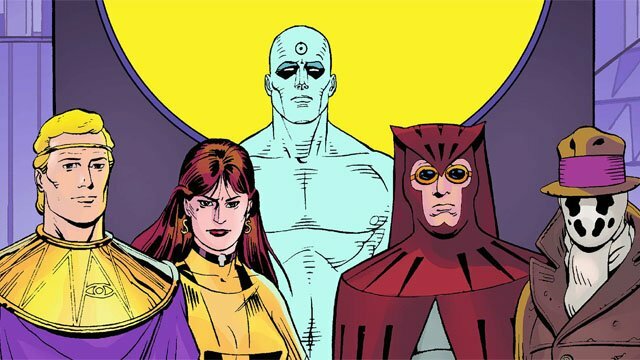 Despite leaked set photos and a major casting reveal, Watchmen still remains a mystery. Our biggest clue to the series’ direction came earlier this month when we learned that Jeremy Irons is playing an older version of Adrian Veidt / Ozymandias. In the comic’s closing chapters, Veidt was revealed to be the mastermind behind the conflict that set the book’s plot in motion. This raised theories that the new show picks up several years after the conclusion of Moore and Gibbons’ story. Regardless, neither HBO nor showrunner Damon Lindelof have confirmed if this is the case. One possibility is that the men and women in the photos are expressing their admiration for the heroes of the past. In the graphic novel, vigilantism was outlawed by the government prior to the story’s beginning. Assuming this decision is still the law of the land, the masked officers could be making a very public call for its immediate reversal. On the other hand, they could also be part of a government-sanctioned task force charged with rounding up stray crime fighters. Only time will tell where their true loyalties lie. What do you make of the new Watchmen teaser images? Do you have any other theories about the officers’ role on the show? Share your thoughts in the comment section below!